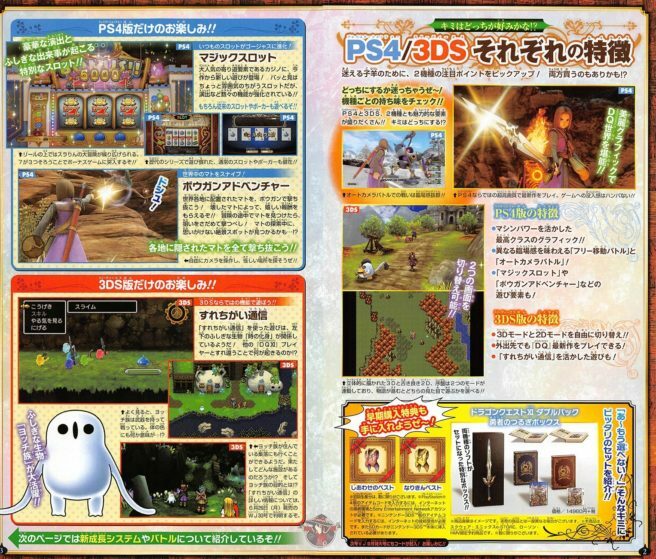 The latest issue of Weekly Jump teases the 3DS-exclusive StreetPass feature in Dragon Quest XI: In Search of Departed Time, as well as introduces eight new monsters. The latest issue of Jump has another update on Dragon Quest XI. This time around, the game’s StreetPass feature is teased. Slot Machine – A man who wanted to win at the slots, turned into a slot monster. Drum Goat – A chubby monster and master of the drum. 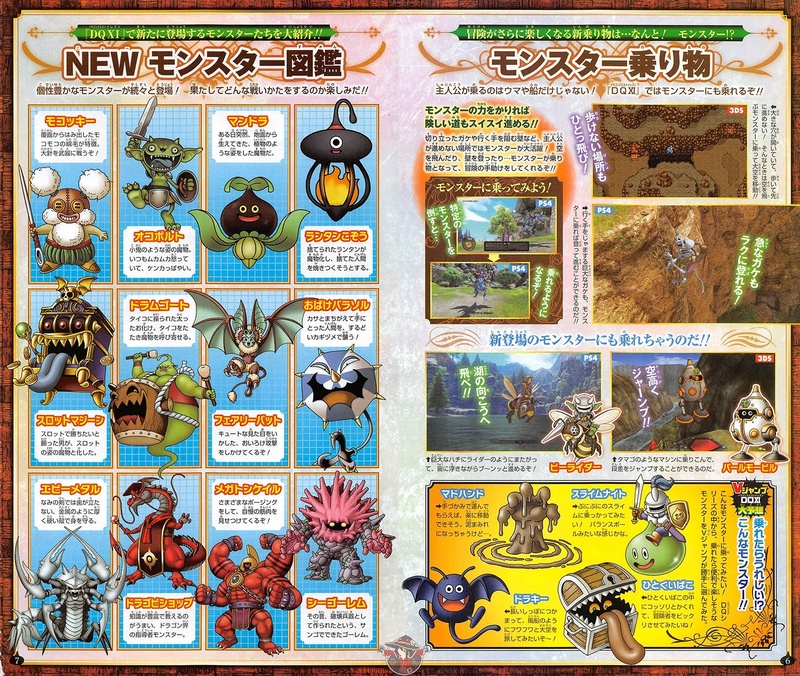 It plays the drum and summons monsters. Fairy Bat – A bat that takes advantage of its cute appearance to attack its enemies with charm. Ghost Parasol – Attacks humans who pick it up mistaking it as an umbrella with its sharp claw. Ebi Metal – A monster whose thick, hard shell protects it like metal, which an ordinary sword stands no chance against. Drago Bishop – A leader of the dragon world, whose wealth of knowledge makes it a skilled teacher. Megaton Keil – A monster who makes various poses to show off its muscles. She-Golem – A golem made of coral, said to have been made as a destructive weapon long ago.